It's less than one week until Christmas! 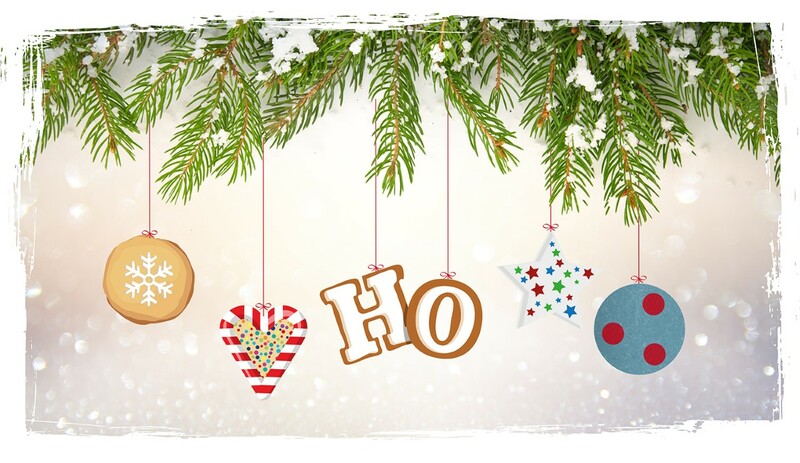 And what better way to celebrate on the blog than with humongous festive decorating guide?! The Christmassy elves over at Festive Lights have been busy working hard to bring you the Ultimate Christmas DIY Decorating Bible - which is packed full of creative festive fun - from creating snow storms inside to making Christmas wreaths. 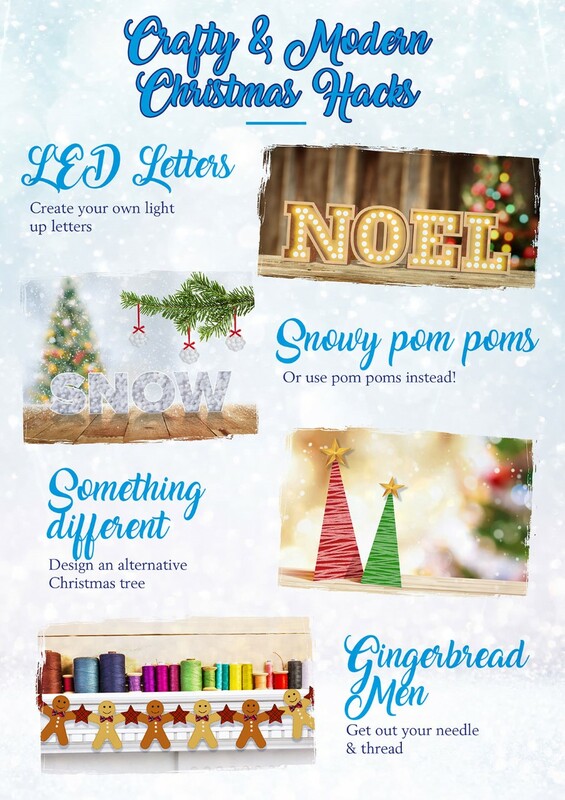 My personal favourites from this guide are the design your own baubles guide, the LED letters tutorial and the alternative Christmas wreath guide. For the full guide along with all the tips, tricks and hacks that a festive creative needs in order to decorate, click here. 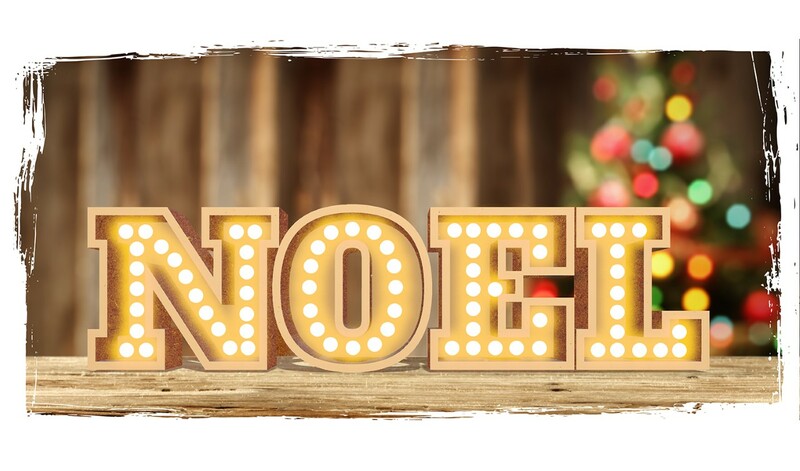 Below I am going to focus on a previous DIY from Festive Lights - how to make your own light up letters (featured above too!). I think this is a great and alternative way to add some light into a room - and they are perfect around Christmas time too! Use a pencil and ruler to draw chosen letters on your piece(s) of wood, then use a 2p coin to draw your bulb holes. Use a 25mm spade bit to create your bulb holes. Use a jig saw to cut your letters out. For letters with a hole in the middle use your power drill to create a hole, which can be used to cut out the middle successfully. Use your sandpaper and sanding block to round the corners and smooth the edges of your letters. If you're happy with a natural look, proceed to step 6. 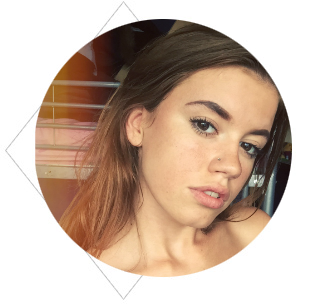 If you would like to add some colour, do it now! Disassemble your bulb cap holders and insert them into your bulb holes. Screw all the bulb caps back in, then turn your letters over and thread the LEDs through the bulb holders, securing them in place at the back. Step 6: Switch on and enjoy it! (These instructions were all taken from the Festive Lights DIY Light Up Letters page). How will you be getting creative this Christmas? *This is a collaborative post with the guide provided by Festive Lights.